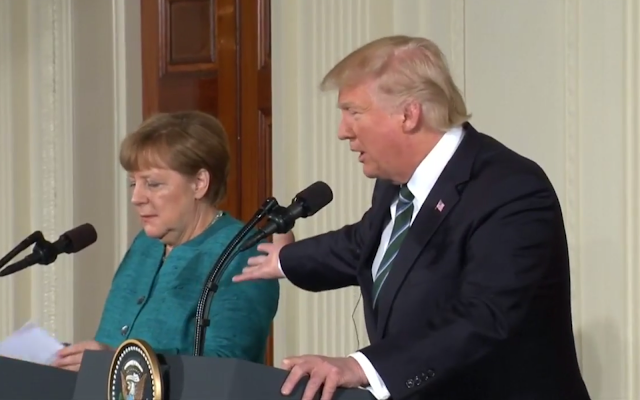 On Friday, during their joint press conference, there was a particularly odd moment between Angela Merkel and Donald Trump. 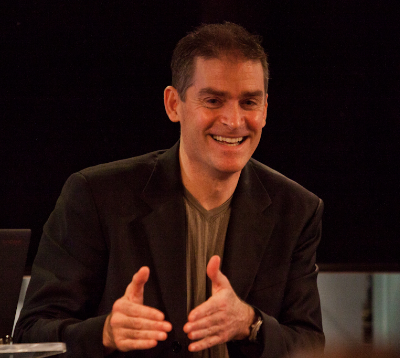 What follows is a partial nonverbal analysis of that portion (contained in the video above, with key expressions isolated in the still images below). DONALD TRUMP (continuing at 0:20): "... Ah, as far as, ah, wiretapping I guess, by, you know, this past administration - at least we have something in common perhaps ..."
During 0:22, as he says his second "ah" of this sentence, President Trump looks down, closes his eyes, inhales deeply and displays a "Loose Tongue Jut". This cluster of nonverbal behavior is highly consistent with the thought-emotions of "I've been (or about to be) bad" and "I got caught". As he says, "... at least we have something in common ...", Donald Trump gestures toward Angela Merkel with an open, palms-up illustrator. 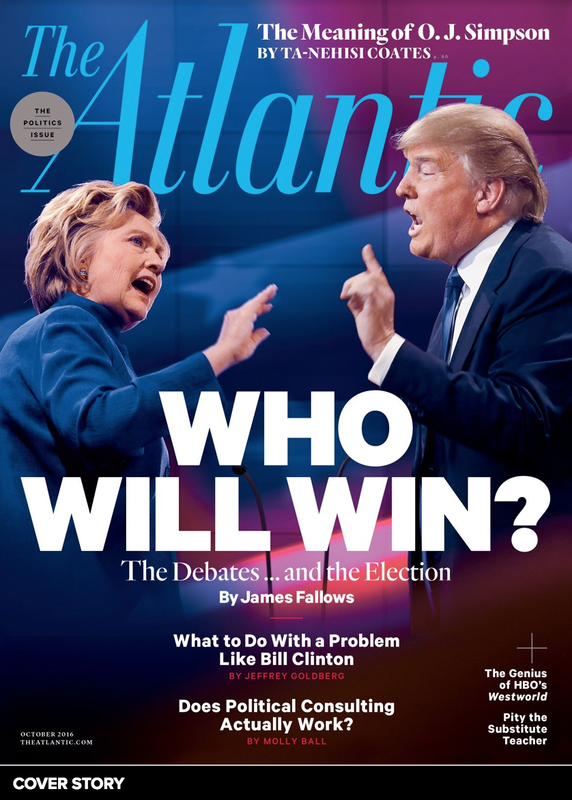 President Trump is using a manipulative/negotiation technique sometimes referred to as "Forced Teaming" (de Becker). By saying outright that he and the German Chancellor share a commonality - and specifically by his use of the word, "... we ..." - together with simultaneously display of the, open, palm-up illustrator toward the person to whom he's referring ("I'm open", "We're friends", "I'm extending my hand to you", "We are of one mind") - tends to make others' temporarily feel as if they are "on the same team". These actions, in turn, engender success with subsequent agreements, negotiations, and manipulations. 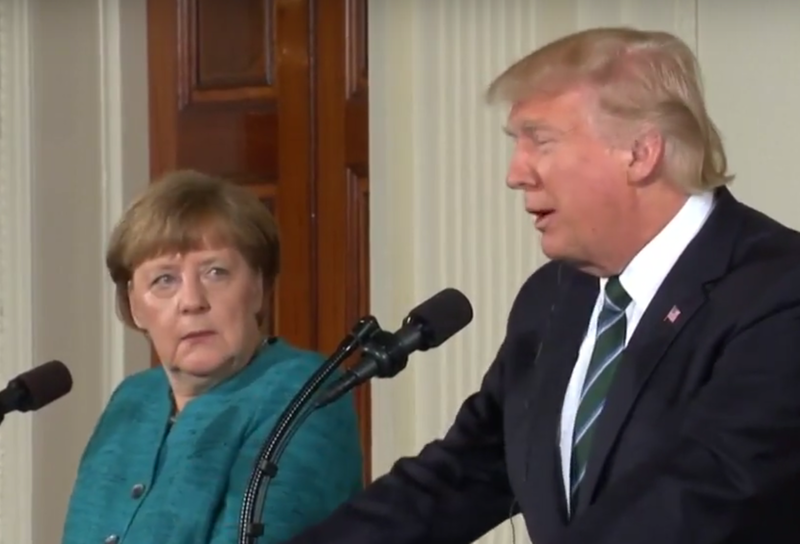 After he completes his sentence, Chancellor Merkel looks over at President Trump. She does this twice, in quick succession. 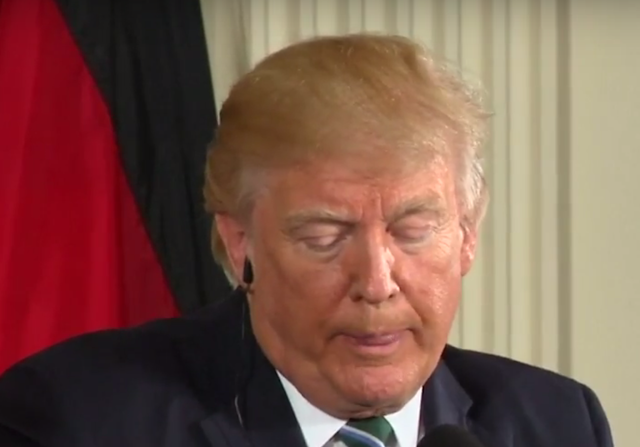 The image above was captured during 0:29, just as Trump begins the second syllable of the word, "... perhaps ..."
This nonverbal two-look dynamic is often colloquially referred to as a "Double-Take". A double take is associated with various combinations the thought-emotions of Disbelief, Surprise and/or Shock. 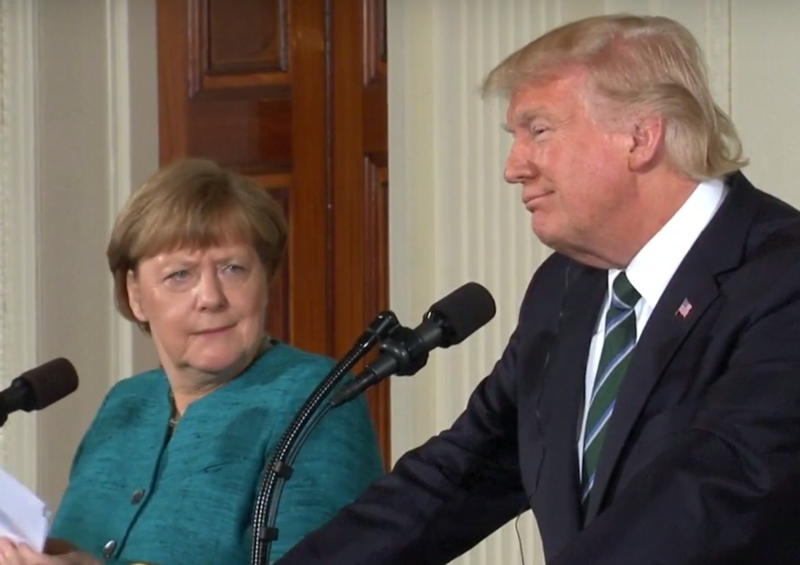 More specifically, with this example, the expression on Angela Merkel's face during this first head turn toward Trump (captured in the image immediately above) is consistent with Shock and Disbelief (e.g., "Did he really just SAY that?"). There also is a simultaneous element of Fear - note that her eyelids are opened wider than baseline with some tension around the eyes - and her jaw is [mildly] slackened [shock]. The next image (immediately above) shows Angela Merkel during the "second look" of her double take (0:32). In the approximate three second interval since her first glance, she has processed her thoughts and is here expressing the emotion of critical evaluation with some contempt. Although we cannot see his entire face, Trump is expressing a smugness and contempt.